Hi guys! I can’t believe we are already in mid-August and that summer is almost…over! Ooops…I did not want to say that and scared people. Let me say it out loud my friends : summer is still here with us for the next five weeks and lets do enjoy it! Now, let me introduce you to my dear Dawn, my third ”demoiselle” that I molded during the month of May last year. 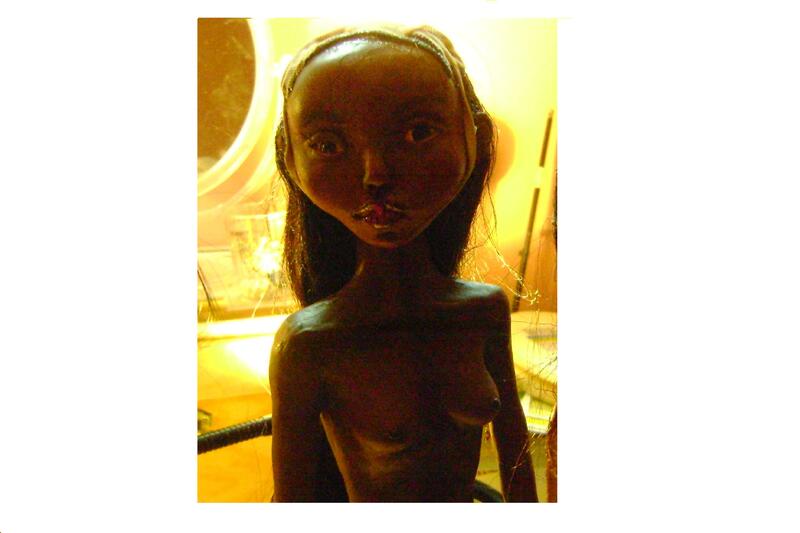 Dawn is made of Living Doll clay (Terracotta) with a mix of Fimo Classic (Chocolate). The mix of the two clays gives a pure rich dark brown tone that is more closer to real African or African American skin tone compare to other clays. Also, it is nicely semi-translucent, since Fimo Classic used alone, is not. I truly recommend Living Doll Terracotta color, if you want to make an authentic black skin doll, it really does look like real skin! Meanwhile, add a bit of Fimo Classic to firm it up! 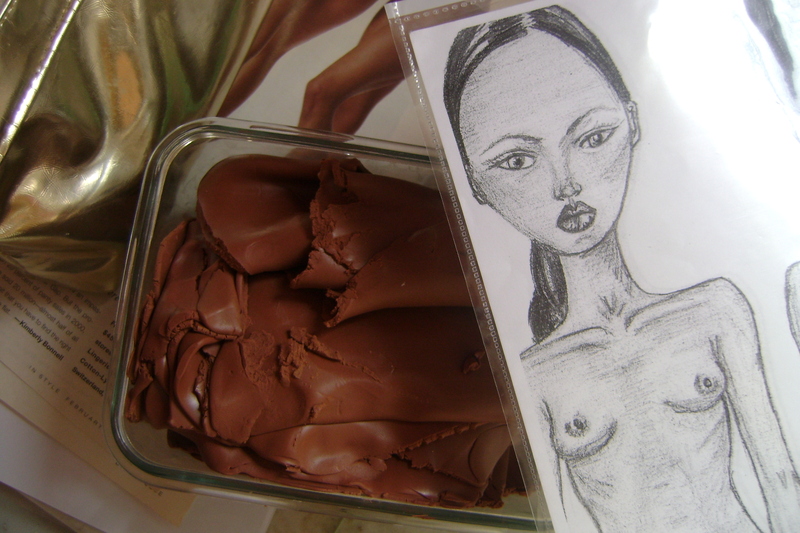 On pictures below, you will notice that Dawn’s sculpture does not match my drawing or the model picture. I do admit, that I did have a bit of a problem molding her. 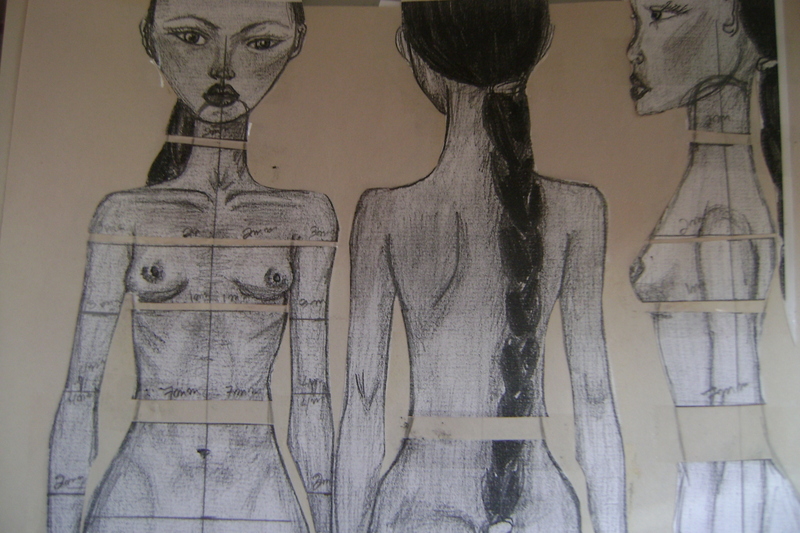 Seriously, when it comes to molding, I need more than one picture of a live model: front and both profiles, from the right to left side, to make something closer to reality. 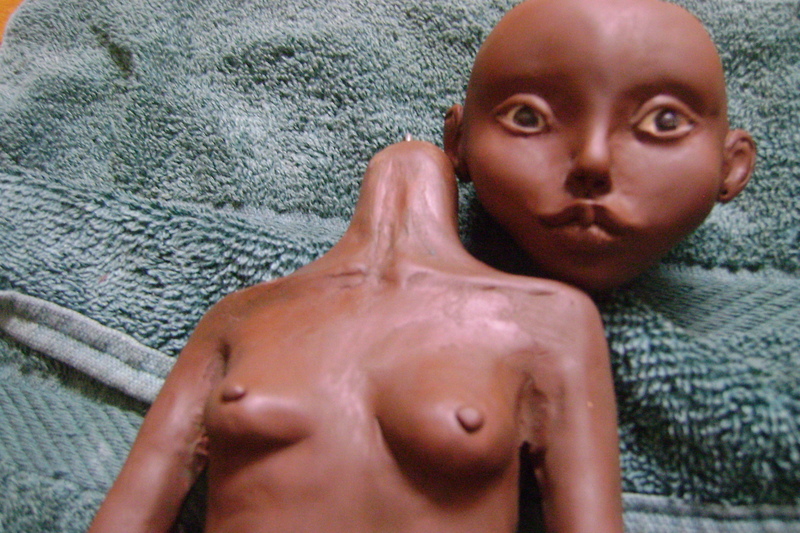 I promised myself that next time, I will sculpt this doll again, but with another type of polymer clay. Anyways, I do like this doll head. More Pictures of Dawn tomorrow and thanks again everybody for your sincere support!